If you are looking to boost the health of your lawn, soil aeration is a great way to improve soil and the root growth of your grass. We’ll go over the basics of soil aeration and how it benefits the look and health of your lawn. Why aerate the lawn? Lawns can suffer from soil compaction due to foot traffic and staying dried out for extended periods of time. When this happens, the grass roots no longer get sufficient water and nutrients. Aerating the lawn loosens the soil and allows for grass to grow stronger. Soil aeration is done using either a spike aerator or plug aerator. The plug aerator is a machine that will take out plugs of soil from the lawn while the spike aerator simply scores holes in the ground. Since the spikes aren’t removing soil it doesn’t break up thatch and relieve the compaction as well as a plug aerator will. Spikes can actually worsen the compaction by increasing the density of the soil around the holes it creates. The plug aerator removing plugs of soil will remove thatch and create space for soil to loosen up and the roots to grow. 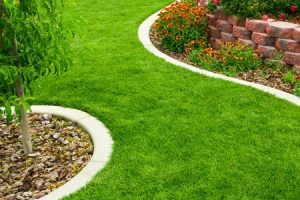 Do you need lawncare service in Granbury or Aledo, TX? MDM Lawncare can perform all the necessary maintenance needed for a healthy lawn including soil aeration to help you achieve a beautiful lawn. Contact us now at 817-396-0125 to learn more about lawn care maintenance we can do for you. Posted in Uncategorized on November 29, 2016 at 5:53 pm by MDM Landscapes.